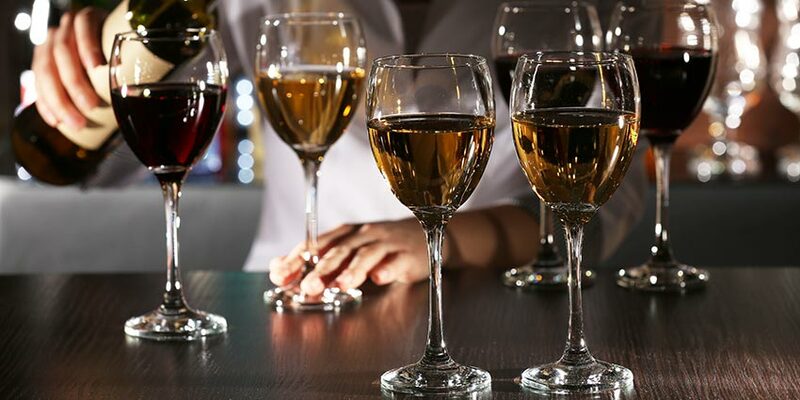 Enjoying wine doesn’t just start at the glass. The whole process of opening the bottle can be perfectly tailored to one’s desire. This is certainly the case if you are opening your own bottles. There are literally over a dozen different variations of wine bottle openers, and each one has its own pros and cons distinguishing it from the others. The following is a breakdown of the most popular types of wine openers. Their names will be covered, as well as their uses, some of their benefits and disadvantages, and also some fun and interesting facts. In 1795, the Reverend Samuell Henshall first developed the twist corkscrew wine bottle opener. It makes sense that it would be a reverend that first developed a patented wine corkscrew, as a lot of wine bottles need to be opened in order to fulfill the sacraments of mass. 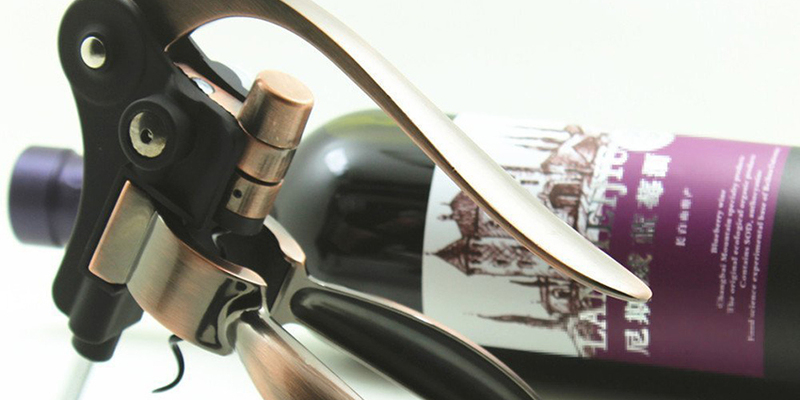 With a handle that makes it easy to twist, this is the simplest of the wine bottle openers. 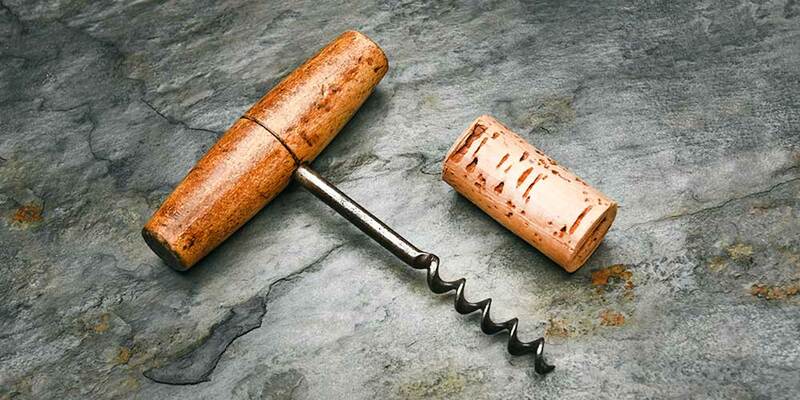 A concave disc between the handle and the screw allows the cork to slide out of the bottle neck. If you have frail wrists or will be opening lots of bottles, there are definitely easier options for you. 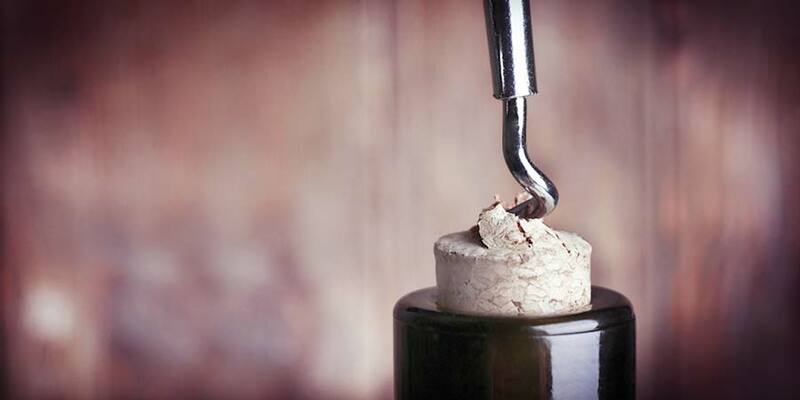 While a twist corkscrew is traditional and easy enough, a tough cork can make this a more challenging option than it should be. If you prefer something easier, try to find an electric wine bottle opener. The waiter’s corkscrew is known by several names, including the sommelier knife or wine key. This type of corkscrew has been around for a while, and featured some improvements which were innovative for its day. Carl Wienke invented this type of opener in 1882. While “wien” is the German word for wine, his name most likely had nothing to do with his invention. The waiter’s corkscrew features a double hinge which provides leverage that allows the cork to be removed easily once the screw has been inserted. The handles can come in a variety of different materials, including wood, metal, or plastic, making this a desirable option for people who want a stylish wine opener that actually works well. Instead of a traditional corkscrew, this kind of wine opener requires that you insert a hollow needle down through the cork. Then, a small button is pressed to release just the right amount of CO2 from the inner cartridge, pushing the cork out of the bottleneck. This air pressure wine opener has the benefit of requiring minimal physical force to use, making it perfect for elderly or arthritic drinkers. It also removes corks faster than just about any other type of opener. On the downside, one of these will only last for about 80 to 100 uses, so this can be one of the more expensive options if you tend to drink a lot of wine. A popular type of opener, this double-lever variety can be traced back to a patent by H.S. Heely from 1888. By the time it came to the US in 1930, this variety of wine opener was well known. 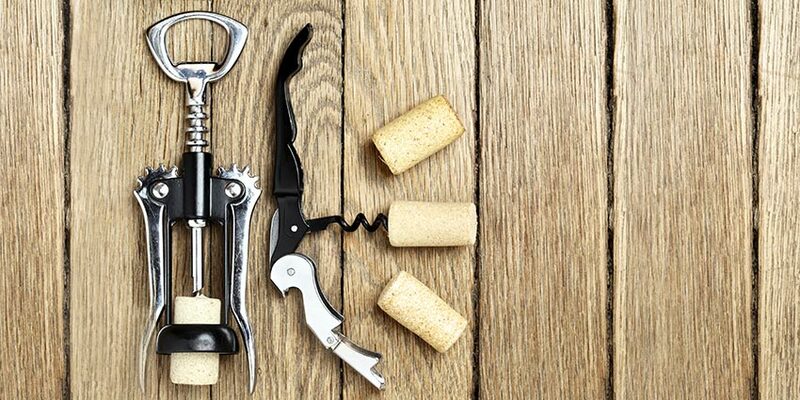 While the two levers make it require less effort than a typical twist corkscrew, you have to be careful to pick a variety with a good shaped screw (one not too wide in diameter) if you want to avoid shredding the cork. Electric wine openers are simple and easy to use. They usually involve a corkscrew that will spin around on its own at the press of a button, making the extraction process easy. Mostly battery powered, these require replacement of said batteries, but will usually last a long time otherwise. Because these wine openers require virtually no muscle strength to use, they are perfect for the elderly or anyone who has limited dexterity. Another name for this simple design of wine opener is the “bunny ears” corkscrew, because of the way that the lever system resembles the long ears of a rabbit. Many will vouch that this kind of opener is best for beginners because it is easy to use, while still having the traditional feel of a hand-operated opener. Two handles secure the bottle in place while the screw is applied, after which a simple squeezing together of the levers will pop the cork out of place. These types of openers can sometimes be seen mounted on a separate piece of wood, on a table itself, or even on a wall. While lever corkscrews take up a lot of space, these kinds of openers are easy to use and can make a stylish statement if installed as a permanent fixture in the home, particularly if you identify as a wine enthusiast. This unusual style of opener seems like it might accidentally show up in bicycle shop rather than in this list of 8 types of wine openers. However, many oenophiles swear by this method of wine uncorking. 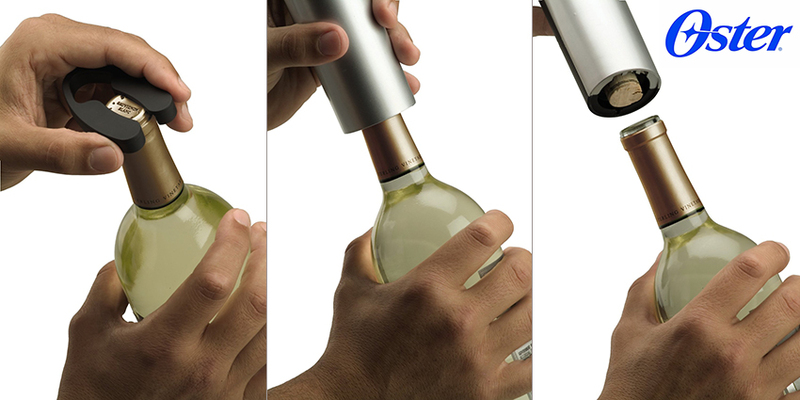 The air pump corkscrew works similarly to the air pressure wine opener: a needle is inserted through the cork, and then, while gripping the specially-designed hand grip, you take the pump in the other hand and oscillate back and forth, pushing air into the bottle until the cork pops out. Some may enjoy the novelty of this kind of wine opener. Perhaps you want to burn off some calories and tone your arm muscles before you drink a glass of wine? Maybe you want to show off your arm strength to your guests? Whatever the reasoning in your selection process, this opener remains a fun and unique option. This type of wine opener is prized as the best type to use for opening vintage bottles of wine that use natural corks. This is because normal corkscrews can damage the cork or even cause it to crumble, while the Ah So is designed to avoid this. The name is translated from the German phrase, “ach so”, which loosely means “ah, I see”. This type of opener is so good at getting the cork out of the bottle unscathed that one of its nicknames is the “Butlers Friend”. This refers to the fact that a butler could use it to easily remove the cork from a bottle, take a swig, and then replace it without their master ever knowing. Comprised of two thin metal prongs attached to a handle, the Ah So must first be inserted by sliding these prongs in between the cork and bottle, being careful not to push the cork down into the bottle. Once the prongs are in place, simply twisting the handle and pulling up will remove the cork. While a bit trickier to use than other openers, this opener can even serve as a solution to a damaged cork or one that has broken in half and is stuck in the bottleneck. It is a type of opener that belongs in the cabinet of true wine aficionados, and it should be the first go-to option when it comes to opening a vintage bottle with a delicate cork. Do you have wine keys? 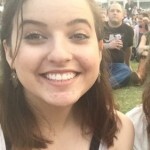 Is there another name for them? How do I use an air pump cork remover? I have two brand new and neither on works.